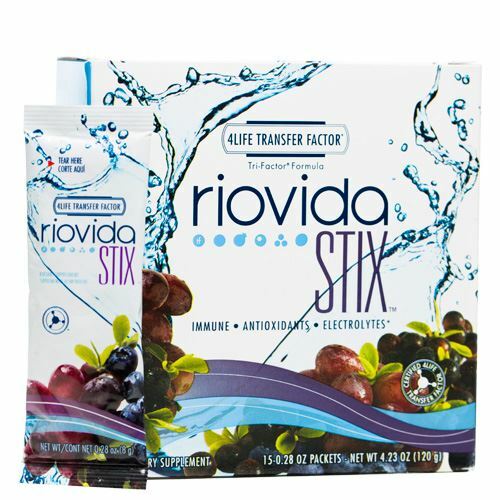 RioVida Stix provides the immune system goodness of RioVida in a portable powder pack. 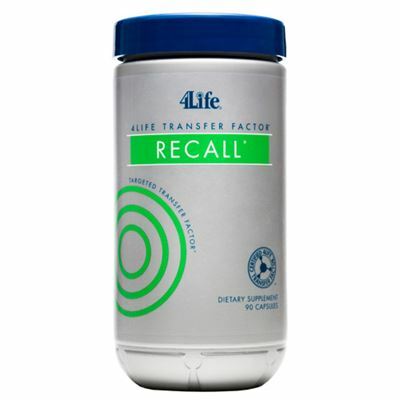 It combines a full serving of 4Life Transfer Factor® Tri-Factor® Formula with a rush of antioxidants and phyto-nutrients from acai, blueberry, elderberry, grape seed, and pomegranate, and all-important electrolytes. 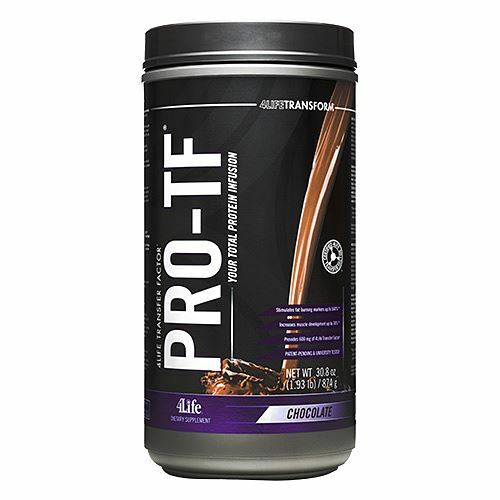 INGREDIENTS: Transfer Factors from both cow colostrum and chicken egg yolk and RioVida Proprietary Blend (Acai, Blueberry and Elderberry fruit powder, Grape seed extract, and Pomegranate hull extract. 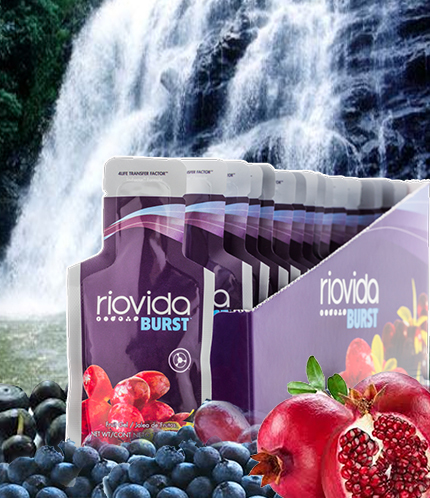 OTHER INGREDIENTS: Fructose, natural flavours (grape, pomegranate, acai, blueberry, elderberry) citric acid, acacia gum, natural colours, stevia leaf extract, sodium chloride, and potassium chloride. DIRECTIONS: Empty one packet into 8-12 ounces (237-355 ml) of water. Shake or stir until dissolved.